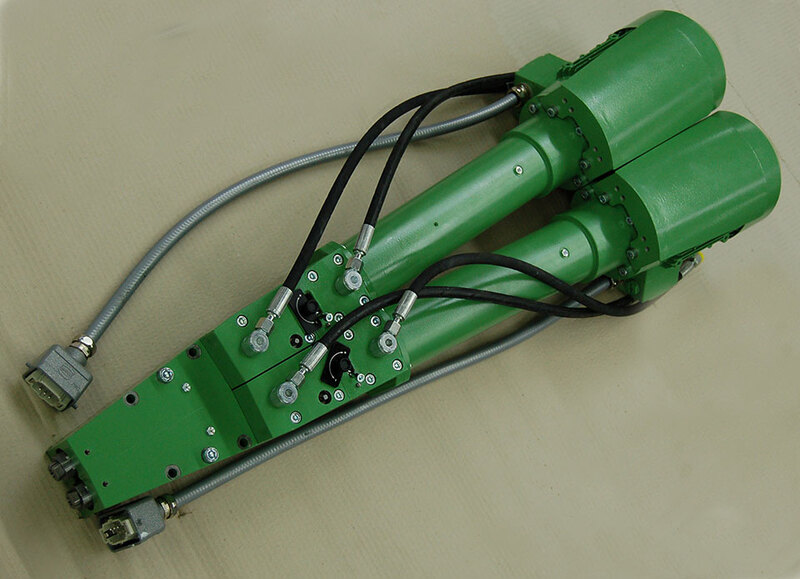 The forementioned machine has been developed especially for drilling of drum brake linings for commercial vehicles. 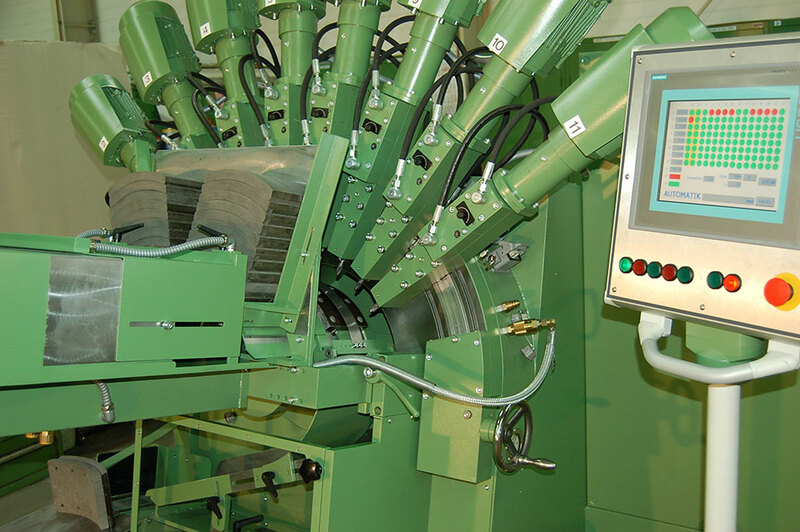 More than 200 machines have been built and sold to customers throughout the world. 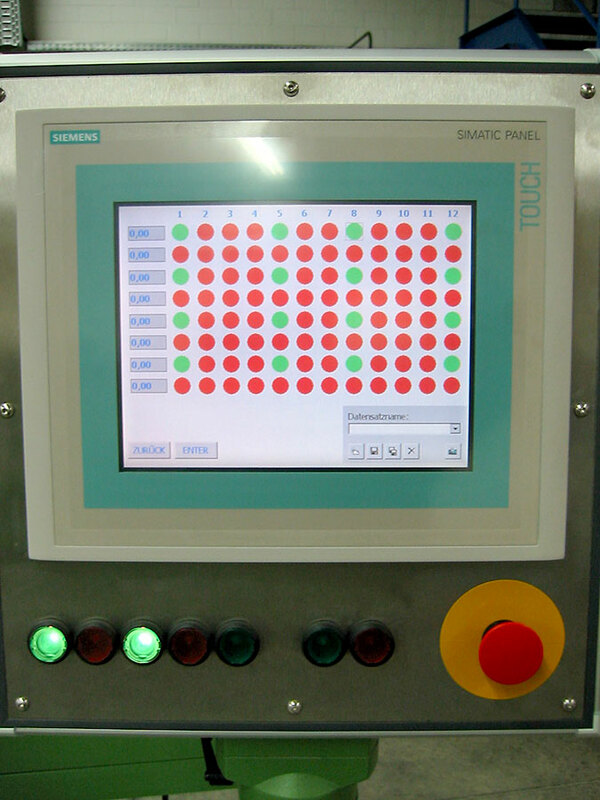 The machine is programmed by a PLC SIEMENS S7. 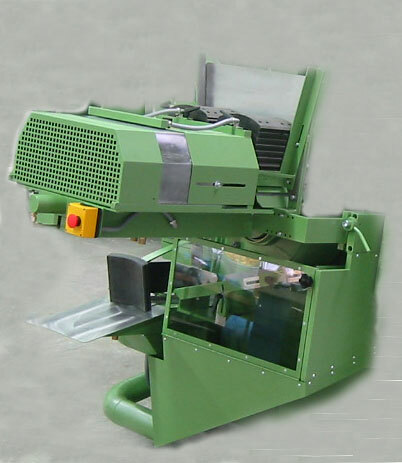 All functions can be dialled and handled on a touch panel, also the programming and saving of the row position and the pattern of the brake lining type which should be drilled. 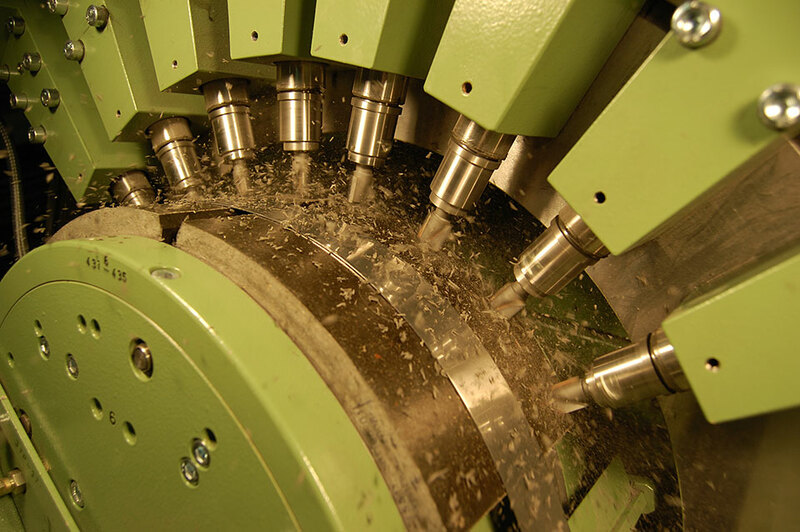 Up to 12 drill units, each with its own driving motor, can be accommodated on the machine. They are radial positioned around the centre axis and angular adjustment is made by a shifting device. The brake linings have to be positioned and fixed onto a drill jig. 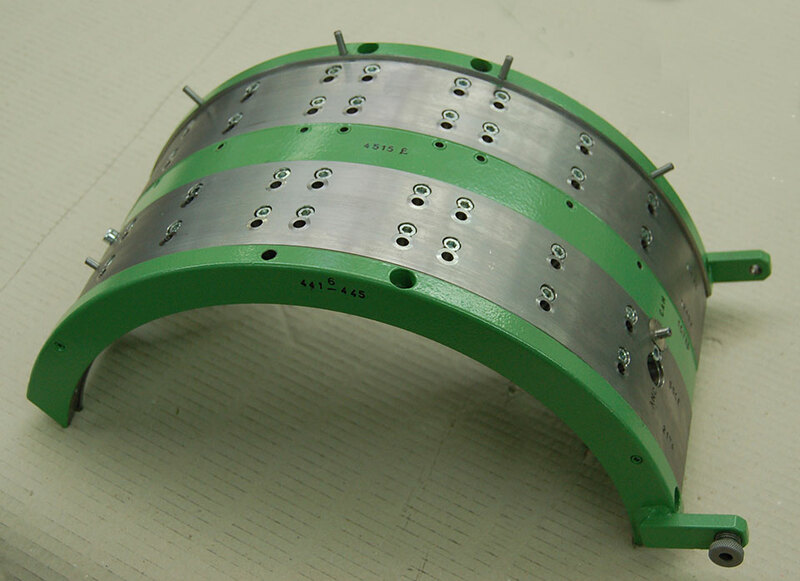 The drill jig corresponds in all dimensions and the pattern with the accordingly brake linings. 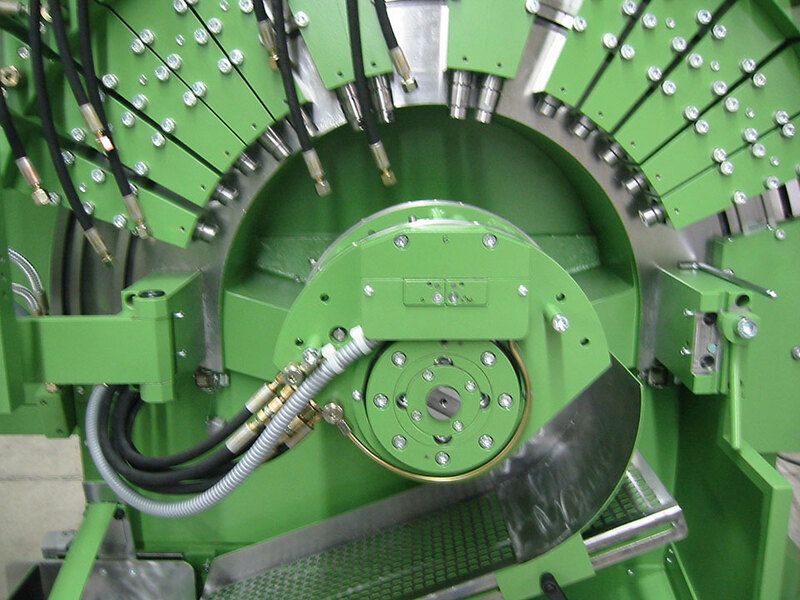 That means, for each type a separate drill jig is required. The drill jigs are interchangeable. 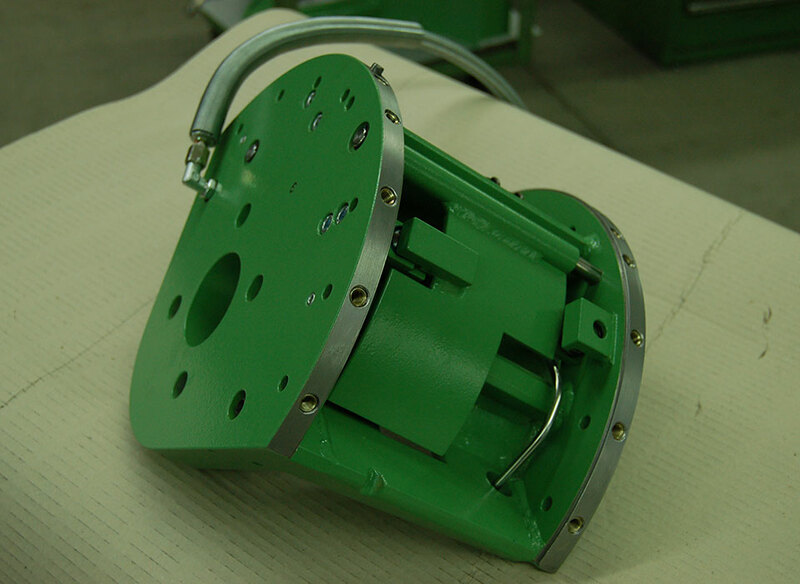 To cover the total range of inside radii from 135 up to 250 mm, four different sizes of support heads are available. 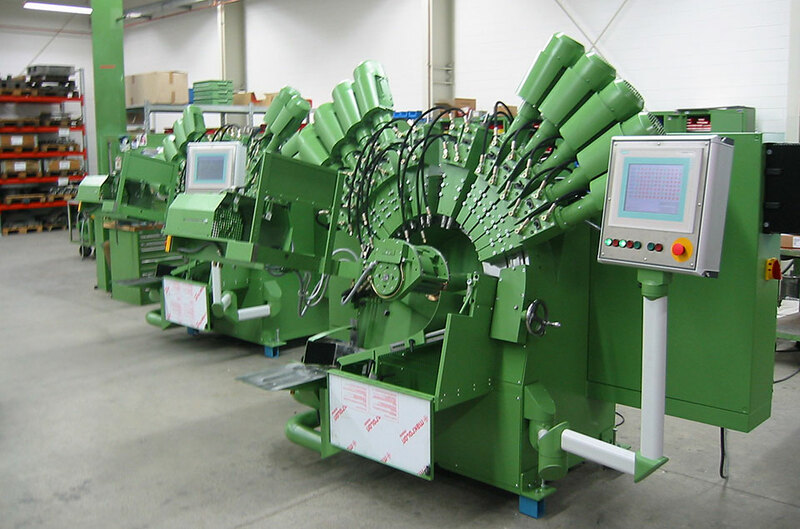 Normally, this machine has a loading and unloading equipment, that means, the linings or blocks have to be filled into a magazine by an operator and all further cycle stages as loading, clamping, drilling, unclamping, unloading and stacking are controlled by the SIEMENS PLC. 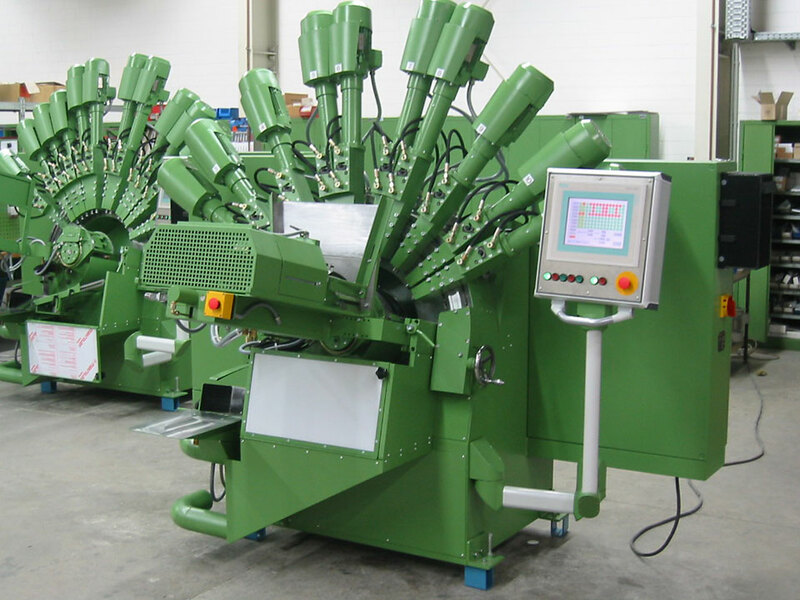 For small series or to save costs, the machine can also work without the automatic feeding system. In this case the linings or blocks have to be put onto the drill jig and to be removed after finishing of the drilling cycle by an operator. It is possible to modify the machine lateron, of course. 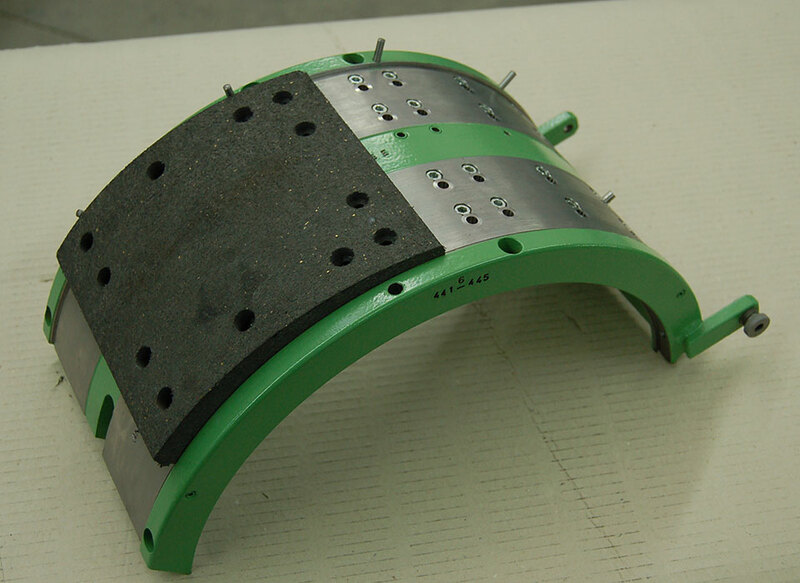 The complete change-over time of all components from one type of brake lining to another one is maximum 90 minutes, minimum 15 minutes. 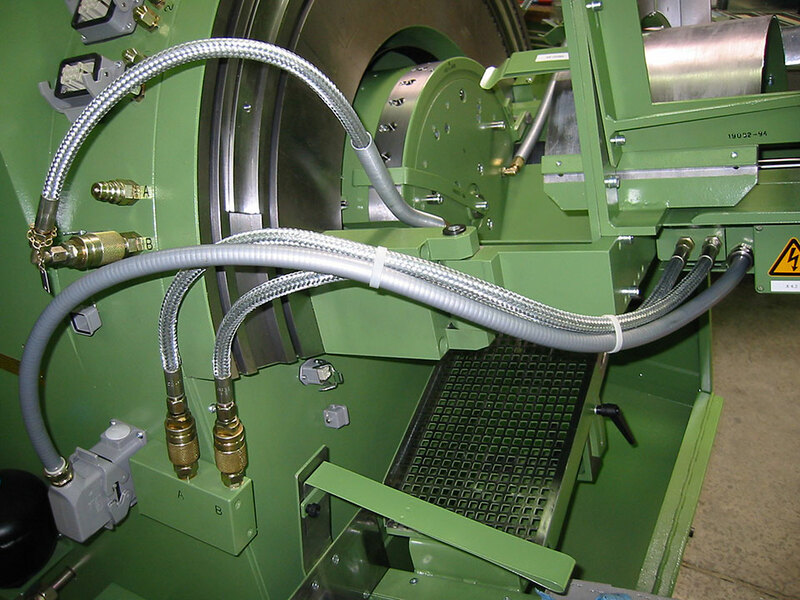 The drill chips and the dust will be extracted through a tubing, which has to be connected to the internal exhaust system.